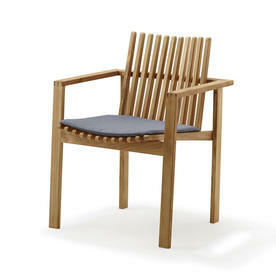 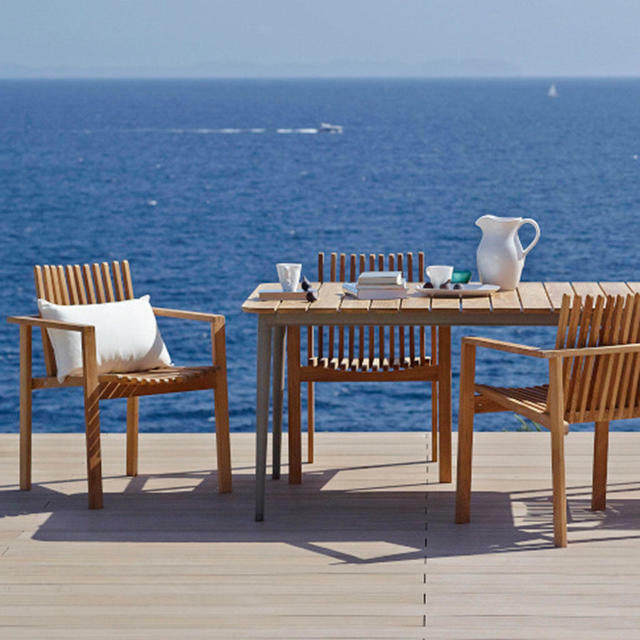 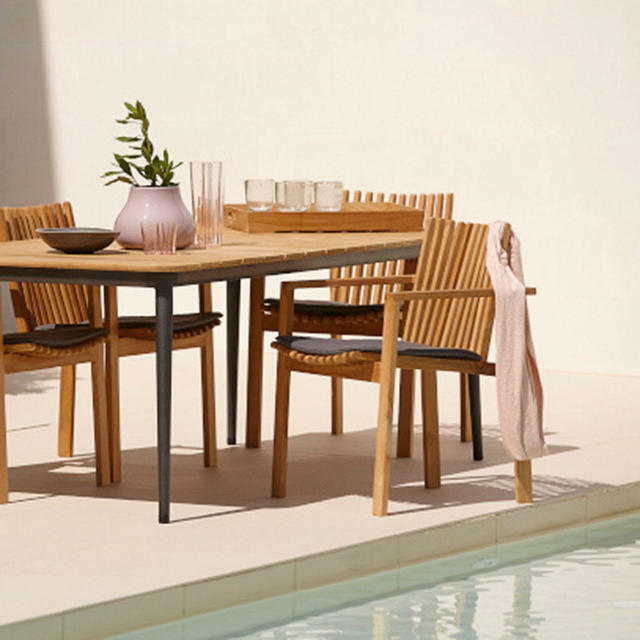 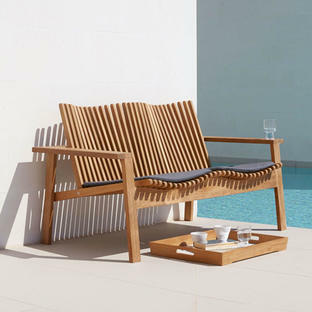 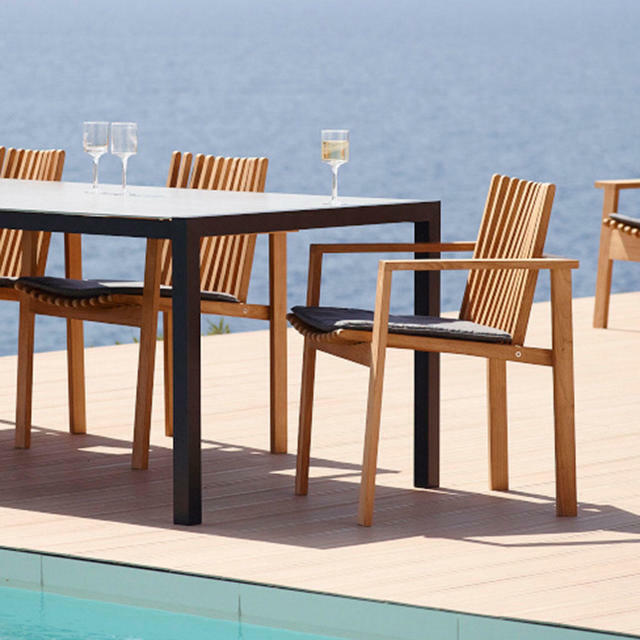 Amaze outdoor teak furniture designed by Foersom & Hiort-Lorenzen. 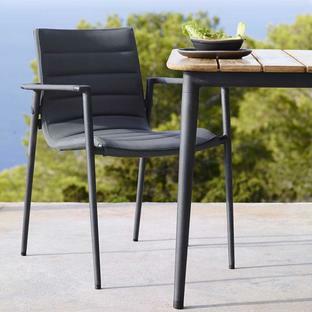 The Amaze dining chair is handmade by skilled craftsmen, and has a unique seating comfort. 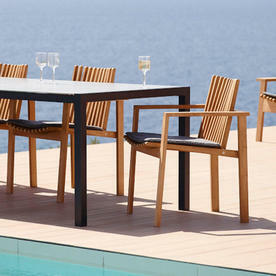 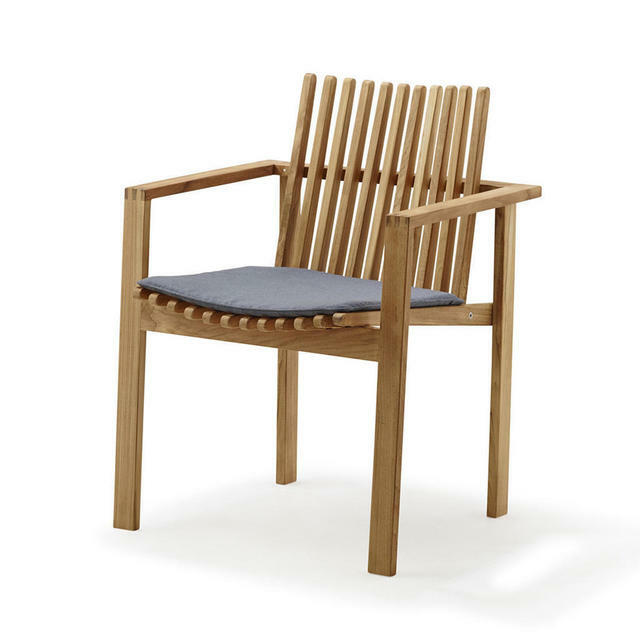 The Amaze dining chair will accompany tables from the Core Dining Collection for a relaxed informal style. 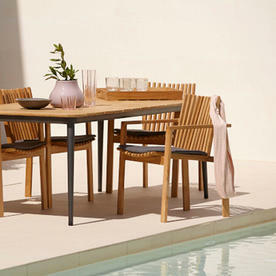 Also in this collection is the Amaze lounge furniture, Folding Tray Table and Sunlounger.